To make it easier for consumers to choose from the myriad of Seagate's storage solutions, the company decided to categorize its storage solutions based on different usage scenarios. The IronWolf and IronWolf Pro series of NAS hard drives are storage solutions optimized for use in multi-bay NAS systems and are available in capacities up to 12TB (ST12000VN0007). Before we jump into the details, it's best to explain why the IronWolf and IronWolf Pro series are optimized for use in NAS systems. This NAS HDD series comes with AgileArray technology, which is the use of dual-plane balance and Rotational Vibration (RV) sensors that help to reduce the amount of vibration when used in a multi-bay NAS system. 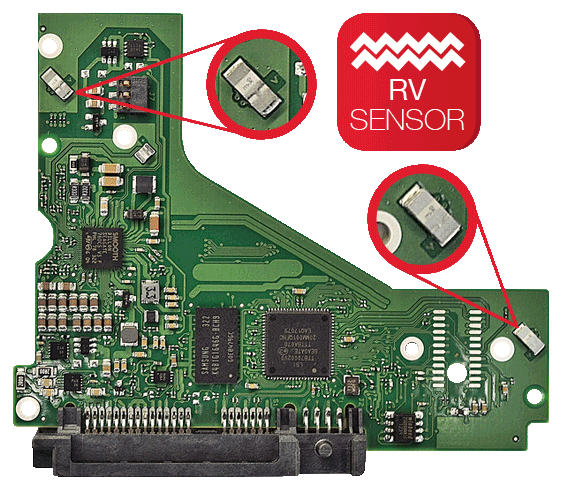 RV sensors are available in all IronWolf Pro variants, as well as in select variants of the IronWolf series (4TB to 12TB versions). Less vibrations not only mean less noise when the drives are in operation, but also lessens the chances of data corruption due to shock damage. Apart from that, Seagate also claims that the IronWolf Pro series supports multiple user workloads of up to 180TB per year. This means that you're able to upload content to the NAS and rewrite this data plenty of times, without ever needing to worry. The last but not the least, IronWolf NAS HDDs come with a two-year subscription to Seagate's 'Rescue' data recovery service. This service is available to you, regardless if the cause is accidental damage or mechanical damage. All you need to do is register the drive(s) to activate the service. Needless to say, this is a very important service to have, especially if you're planning to store highly important data on your NAS. There's also another addition that you can look forward to with the IronWolf or IronWolf Pro, and that's the 'IronWolf Health Management' feature. With this enabled, the NAS drives are automatically monitored, so they can provide the best performance, regardless of the task at hand. If any issues are found, an analysis will be given to you, along with the recommendations to fix it. Solutions based on environmental and operational values will also be presented. Do note that this feature is only compatible with Seagate's IronWolf and IronWolf Pro series, and Synology's DiskStation devices running on DSM 6.1 OS. This feature arrived sometime in February 2017. To get a better idea of the performance of the Seagate IronWolf 10TB, we tested it in two ways: first, as a standalone HDD on a desktop PC; and second, as an HDD on a NAS appliance. 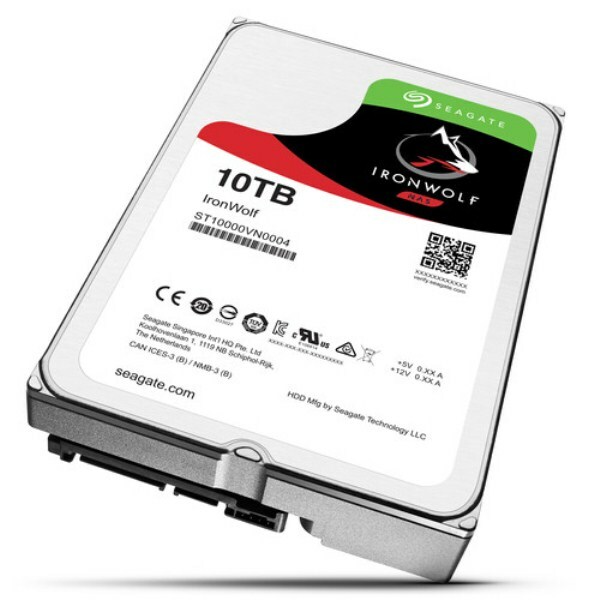 Specifications-wise, we can see that the IronWolf 10TB is superior in some respects. The IronWolf 10TB is closely similar to the BarraCuda 2TB, but the former has 256MB cache, much higher than the latter's 64MB. We already anticipated the WD Purple 1TB to emerge as the slowest among the three, taking into account its 64MB cache and 5400rpm spindle speed. Nevertheless, it is the most energy-saving because it has the lowest average idling and operating power among the HDDs in this review.